Every time you experience happiness, your face lights up. When you’re down, you may frown or pout. When any facial expression reveals creases, you may become self conscious and less likely to show emotion. No one should live this way — and there are effective skin rejuvenation therapies to smooth wrinkles (and reduce skin spots). 1. 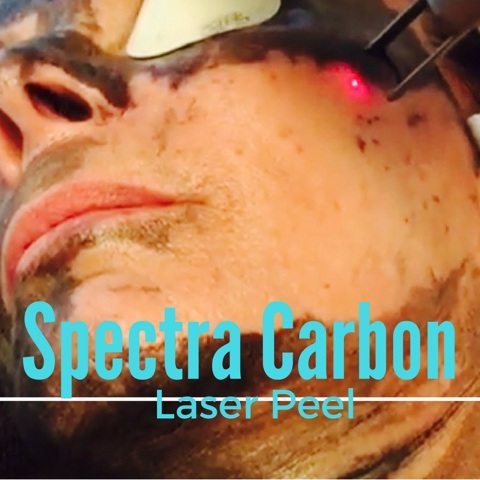 Spectra™ Carbon Laser Peel (a.k.a. “Hollywood Facial”) – Skin looks dull and dry from dead skin cell buildup. When dead skin is gently and safely removed, its natural glow is revealed. Carbon Laser treatment peels off a thin layer of dead skin with each visit. This procedure helps treat sun damage, minimize skin imperfections, smooth out wrinkles, and reduce the appearance of large pores. 2. Fraxel™Fractional Laser Resurfacing – Fraxel or Pixel treatments use microscopic laser light to treat and penetrate damaged areas of the skin from the surface to the deeper layers. As it works its way in, it stimulates the formation of new collagen which gradually restores and softens imperfections (such as scars or aging skin). 3. Intracel™ RF Micro-Needling combined with Radio Frequency – Also known as collagen induction therapy, this skin rejuvenation technology targets sagging skin, fine lines and deep wrinkles, scarred or sun damaged skin, and hyperpigmentation. It uses fractional radio frequency to stimulate collagen production, producing remarkable results: improved skin texture and firmness including stretch marks, and post pregnancy skin laxity. 4. Photo Facial Rejuvenation – If you’ve been wondering how else to get rid of age spots, rosacea, and brown spots, here’s some good news. Intense Pulsed Light (IPL), also known as Photofacial or Fotofacial, can deliver great results. Each session leaves your skin supple and smooth. Your pores look smaller. You’ll notice visible fading of those stubborn spots.